The abuse of prescription narcotic pain relievers has risen in recent years, and the consequences of abuse can be severe. Statistics show emergency department visits due to non-medical use of prescription narcotic pain relievers increased 111 percent between 2004 and 2008. Many of these emergency department visits were due to overdoses on Percocet, one of the more widely abused prescription narcotic painkillers. Percocet is a brand-name pain medication that includes a mixture of oxycodone and acetaminophen. The former ingredient is a synthetic narcotic used to treat severe pain. The latter ingredient is used to relieve moderate pain, and it enhances the effects of the oxycodone. Treatment in an inpatient Percocet recovery center may be the right course of action for someone seeking long-term recovery after a Percocet overdose. 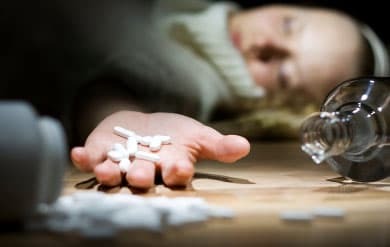 If you suspect that you or a loved one may be abusing the drug, you should know the signs of Percocet overdose so you’ll know when to seek emergency help. If you or a loved one has had a Percocet overdose in the past, you can call 1-888-319-2606 Who Answers? to discuss options for treating dependence on this painkiller. It’s critical to treat Percocet overdoses before these symptoms become serious, as an overdose can lead to coma and cardiac arrest. If you or someone you know has overdosed on Percocet, you should call emergency medical services at 911 immediately. The first step in recovering from Percocet overdose is seeking emergency care. Trained medical professionals can ensure the proper administration of Percocet overdose treatment, and they will also monitor patients after rehab and recovery treatment. “Narcotic antagonists such as naloxone hydrochloride can also be effective in stopping the effects of Percocet overdose.”Percocet overdoses can be treated in a variety of ways. Medical professionals may pump a patient’s stomach to remove all of the pills the patient swallowed. Administering activated charcoal to absorb the opioids is another common treatment. Patients may receive laxatives to help them expel the Percocet pills they’ve swallowed. Narcotic antagonists such as naloxone hydrochloride can also be effective in stopping the effects of Percocet overdose. Overdosing on Percocet is often a sign of dependence on the painkiller. Those who have overdosed should seek ongoing addiction treatment after the immediate medical crisis has been averted. These programs are effective at treating Percocet dependence, but it’s important to choose the right program based on the patient’s specific needs. Someone who has been using Percocet over a long period of time may be physically dependent on it and go through withdrawal symptoms upon ceasing use. A Percocet overdose recovery center with a detox facility is advisable in this case. A detox center is a safe environment for a person dependent on Percocet to go through withdrawal. Detoxification is an essential step that the recovery center must take before treating the mental and emotional aspects of dependence. The length of stay in an inpatient Percocet overdose recovery facility can range from 28 to 90 days. Patients with more severe dependencies may require more time in a recovery facility. You will also have the choice to check into a local treatment center or one that’s far away. Some patients benefit from having family and friends close by while they go through treatment, while others may be better served to distance themselves from the people with whom they have been using Percocet. If you or a loved one needs help determining which inpatient recovery center is best for recovery after an overdose, you can speak with a treatment specialist at 1-888-319-2606 Who Answers? . A Percocet overdose can create a critical, life-threatening situation. It’s therefore essential to act quickly to begin the process of recovery. After treating the overdose, it’s important to treat the dependence and addiction issues. The first step in treating Percocet addiction is to call 1-888-319-2606 Who Answers? . By speaking with a treatment professional, you or your loved one can get on the path to recovery.